This is a traditional festival with a 240-year history. 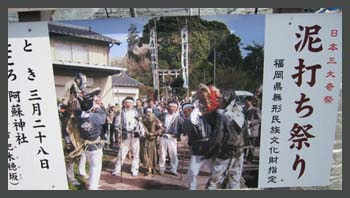 It is said this festival started in 1757 under the order of the Hosokawa clan, concerning the bad harvest around the Yabe area. The main attraction is the giant creations skillfully made by individual communities, with pinecones and other wild plants that grow in Yabe. These express the society and people’s wishes with a sense of humor. 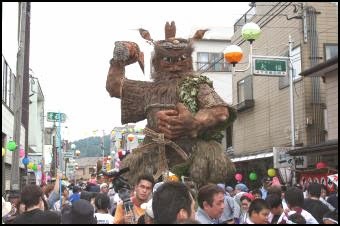 During the festival, these creations march through the town streets with musical accompaniment as well as a fancy-dress parade, to wish for an abundant harvest and prosperity. Tsujunkyo Bridge also releases water during the Hassaku Festival, and there is a fireworks display at night. 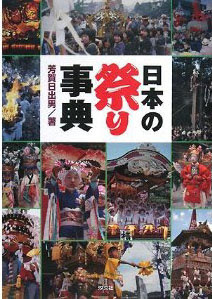 Harvest Festival, Hassaku sai 八朔祭 . 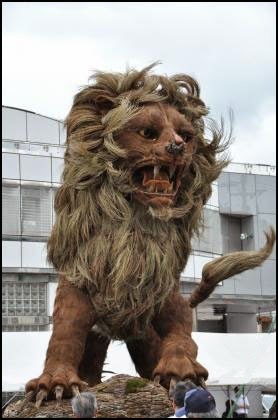 This 作り物, constructed entirely from natural materials (except for the eyes, which light up) won the annual contest in Yamato this year.
. Kumamoto Prefecture Festivals - 熊本県 . 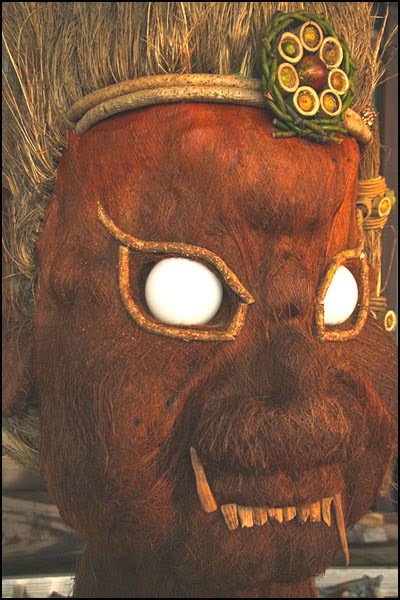 This festival dates back to an ancient legend. The emperor and his followers were walking in deep fog and the villagers, carrying pine torches, helped them to find their way to safety. Now during the night about 1000 ladies in summer yukata dance around a center stage, all wearing shining lanterns of gold and silver on their head, this is the "festival held throughout the night". They have a special song, the Yoheho-bushi, which makes it possible to do very slow elegant movements. 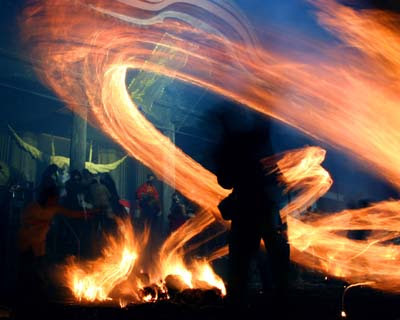 The men in ancient costumes line up the street with pine torches, like the ancinet folk, welcoming the emperor. 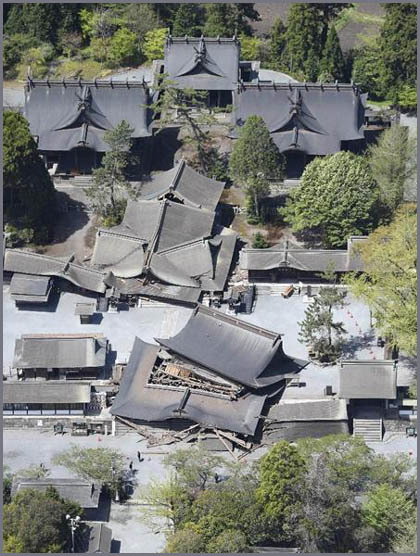 The festival is now held at the shrine Omiya Jinja 大宮神社 , as an offering to the deities at midnight of August 15. On August 15, there is a great firework display along the river Kikuchigawa 菊池川, with about 4000 bangs of colorful fireworks. The lanterns are made of gold and silver paper, pasted together with natural glue only. There are few craftsmen in the town who can make these special lanterns, which　must be extremely light to bear on the head for a long time. A group of specially trained women dancers form the center of the dance circle. These unmarried girls practise twice a week throughout the year, and train how to move their hands most elegantly. The town of Yamaga is located along the old road of Buzen, Buzen Kaido 豊前街道 in Kumamoto prefecture. The town of Yamaga is also famous for the Kabuki theater YachioZa,where Tamasaburo Bando　坂東玉三郎　performs regularly since many years. Yachiyo-za Theater in Yamaga City, Kumamoto Pref. 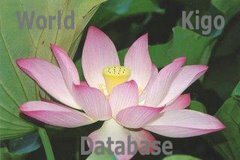 is a designated Important Cultural Property. This playhouse has the features typical of a Kabuki theater in the Edo period such as box seats and the revolving stage. It has a history of 80 years but various performances are still played on the stage now. In 1910, several wealthy merchants and businessmen in Yamaga City founded the Yachiyo-za Union to establish the theater and bought the stocks at the price of 30 yen per share. 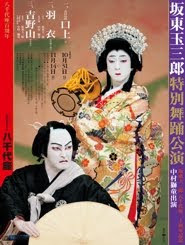 The first performance was played in January the next year, in which the greatest actors and actresses of the time such as Matsui Sumako, Okada Yoshiko, Hasegawa Kazuo, and Kataoka Chiezo played enthusiastically. 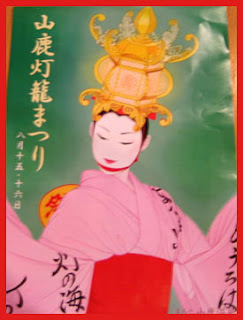 In the Yumekogura (museum) opposite the theater, precious documents and materials preserved at this theater are displayed, among them are the costumes that Bando Tamasaburo wore on the stage and the stage properties used then, leaflets of the plays, and the old cinema projection. The theater was renovated as it was in 1923, when the theater was at its peak. Visitors can take a guided tour and see around the theater including the backstage mechanism of the revolving stage. 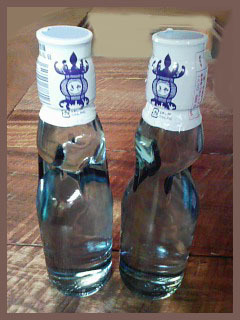 Lemonade bottles with the lanterns as decoration.
. Folk Craft from Kumamoto .